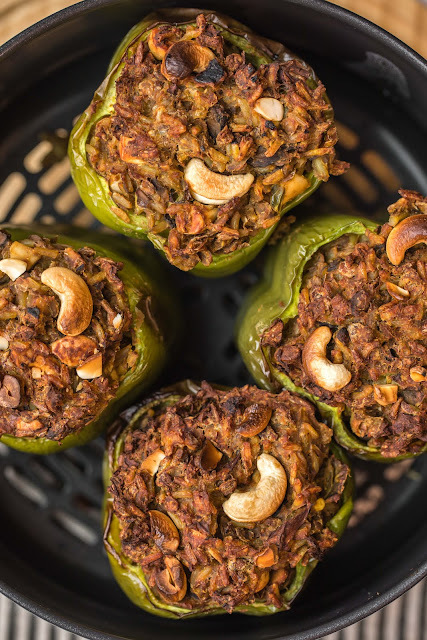 These Curried Lentil Stuffed Peppers are Gluten-Free, Vegan, and Healthy. 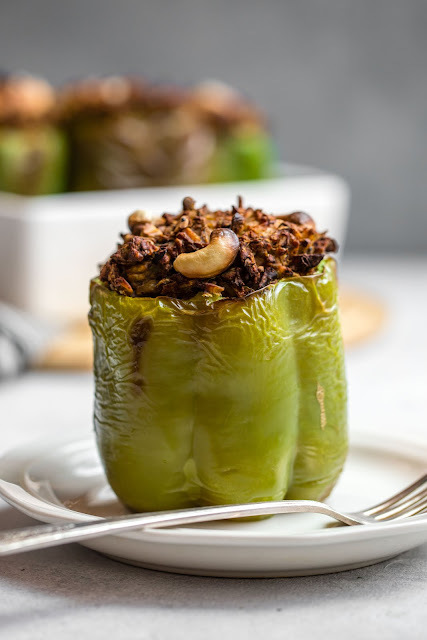 Plus they’re made in a Pressure Cooker for an even faster weeknight dinner. First, wash and prep your vegetables. Core the Bell Pepper and finely dice the tops. Add all of the ingredients to the pot of the Ninja Foodi, except for the Tamari, Cashews, and cored Peppers; stir well. Close the Pressure lid on the Foodi, and set the pressure release valve to SEAL. Select PRESSURE and set to HIGH, then cook for 15 minutes; press START/STOP to begin.